I'm so excited to be giving away this gorge travel set from One Love Organics today! 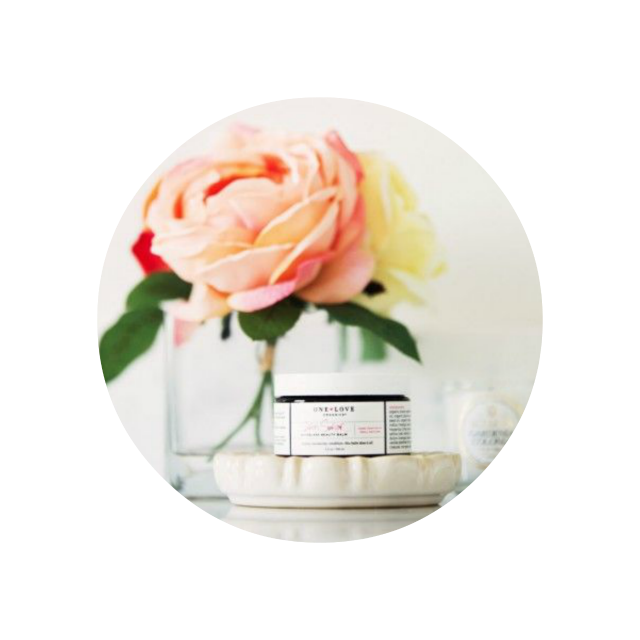 OLO is my favorite skincare line - see my post (here) on which products I use! I would love to win this...looks like a great product! I would love to try these products - I'm on the search for the perfect cleanser. what a cute travel bag! The travel bag is so cute and the products look fantastic! Thank you for the opportunity! What awesome products!!! Love the bag and especially how clean the products are, trying to go more natural with my skin. Thanks for the opportunity! The travel bag is adorable. Fingers crossed! Their products seems amazing! I would love to win! I'm obsessed with skin care products - would love to try this one!! Even the little pouch it comes in is adorable! Thanks for the giveaway! Cute bag! I have only heard good things about this line of products and would love to try them! I would love to win! I have been constantly searching for a really good skincare line! I love organic beauty products. Hope I win, would love to try the products! I can't wait to try the products! What a great giveaway! I hope I win!! I want win this !!!! What a great new line to explore--thanks for pointing them out! And that travel bag is SERIOUSLY adorable! This looks lovely. Thanks for the giveaway and Happy New Year! I love trying new skincare products. I've never heard of OLO, but I'd love to try it. You have beautiful skin, so if this is what you use, I'm excited about this giveaway! This is a brand I've been dying to try! Maybe I'll get lucky again! I have been wanting to try this product. Thank you for all of the fab giveaways!!!! I'm new to your blog and I love it! Thanks for the great giveaway!!!!!!!!! Oh my goodness I would love to win some of this! I have heard wonderful things about One Love! Thank you for doing the giveaway! I'm a sucker for organic skin products. I've never won a blog contest. I hope this is my lucky shot! Thanks so much for the giveaway. I always look forward to your post to see what you are styling. Thanks so much. such a cute travel bag! would love to try some new products too! Great giveaway! Hope I win! I would love to try out those products!